Energy and oil funds have been volatile this year (to say the least), a trend that’s continued since the second half of 2014. Take a look at the chart below from January 9, 2015 to August 19, 2015, and you’ll see some bumpy rides for investors in energy (XLE: blue line) and oil (OIL: red line). 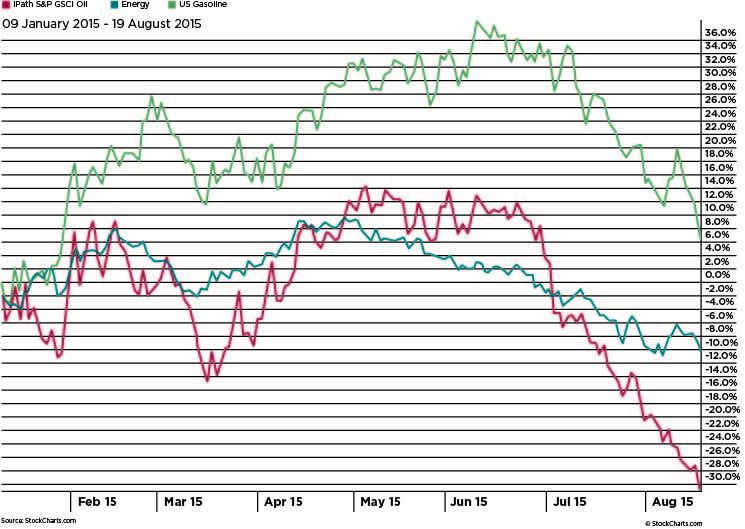 The price of oil was over $100/barrel back in July 2014 and has since dropped to the $40/barrel range. The volatility shown in the funds below is no surprise. But take a look at the green line. Still volatile, but in positive territory for the year. That’s not broad equities, it’s actually the United States Gasoline ETF (UGA). Wait, what? Isn’t gasoline refined from crude oil? Yes, it is. Shouldn’t that mean gas and oil are strongly correlated? Not quite. The correlation for gasoline (represented by UGA) to the ETF WTI Crude is 0.796. Not exactly as high or as strong as you may have guessed. Thus the difference in performance year-to-date. UGA is positive, and most other energy-related ETFs are negative. Why? Correlation is partly responsible, but there are a few other reasons. Strong demand for gasoline and tighter-than-expected supplies have helped raise prices. Several issues with refineries on the West Coast and Indiana – accidents, labor strikes, etc. – have caused a shrinkage in supply and an increase in prices. 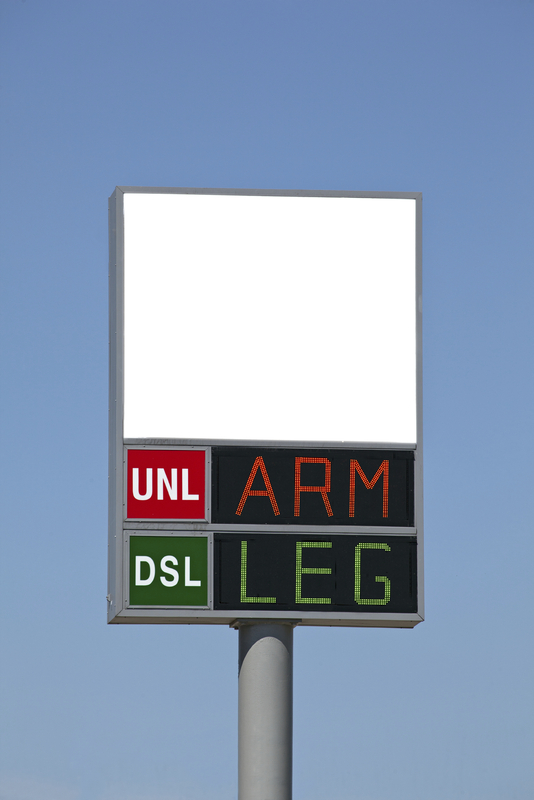 Of course, experiences at gas pumps around the nation may be a little different. But, the variations are simply more evidence that correlations between markets may not always work the way you think. Many external factors affect the markets every day. At CLS, we build globally diversified portfolios that contain many different asset classes and securities. We hold a slight tilt to the energy sector based on low valuations (it’s cheap) and a belief that global consumption should continue to improve, keeping demand for energy up. The graphs and charts contained in this work are for informational purposes only. No graph or chart should be regarded as a guide to investing. CLS is not affiliated with any of the companies listed above. While some CLS portfolios may contain one or more of the specific funds mentioned, CLS is not making any comment as to the suitability of these, or any investment product for use in any portfolio. Correlation is calculated into a correlation coefficient, which ranges between -1 and +1. A correlation co-efficient of +1 implies that as one security moves, either up or down, the other security will move in lockstep, in the same direction. Alternatively, -1 correlation coefficient means that if one security moves in either direction the other security will move in the opposite direction. If the correlation is 0, the movements of the securities has no correlation.